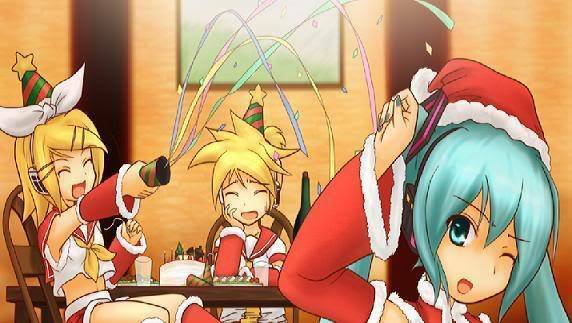 Miku Len and Rin Christmas!. Miku Len and Rin Are Throwing a Party your invited! ^.^. Wallpaper and background images in the hatsune miku club tagged: miku hatsune vocaloid cute. This hatsune miku photo might contain anime, banda desenhada, manga, desenhos animados, mangá, and quadrinhos. MIKUUUUU AND RINNN mangá COVER!! !